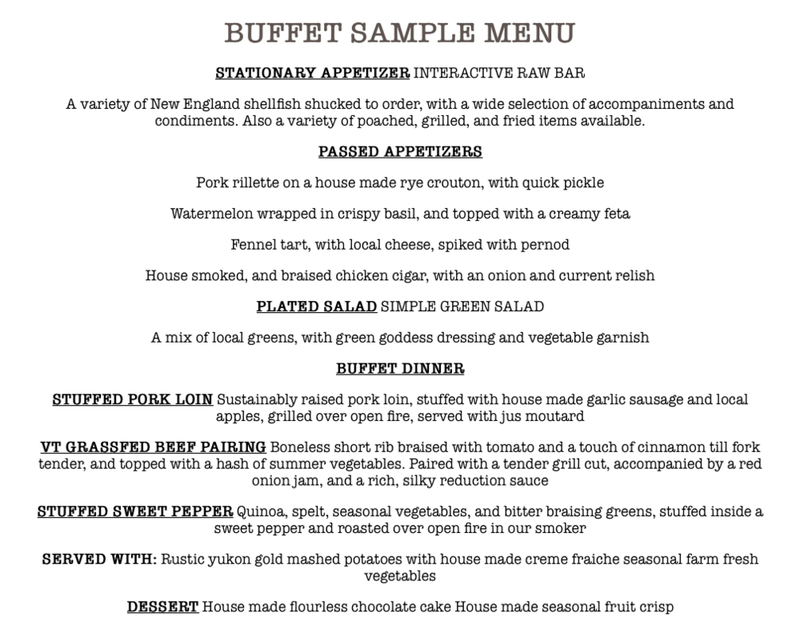 Below are a few sample menus, which represent a small portion of our repertoire and offerings at our Stowe weddings. We are very farm to table with most of our products being raised on the local farm of our Chef / Partner, Joey, who is married to Georgia Von Trapp. Together they own a 300 acre farm where they raise and grow much of what we serve. From sushi and raw bars to pig and goat roasts, we love creative menus. Your event is a very special moment in your life and we enjoy creating custom menus for you. Our Director of Catering works with each client to develop a custom menu for each event. 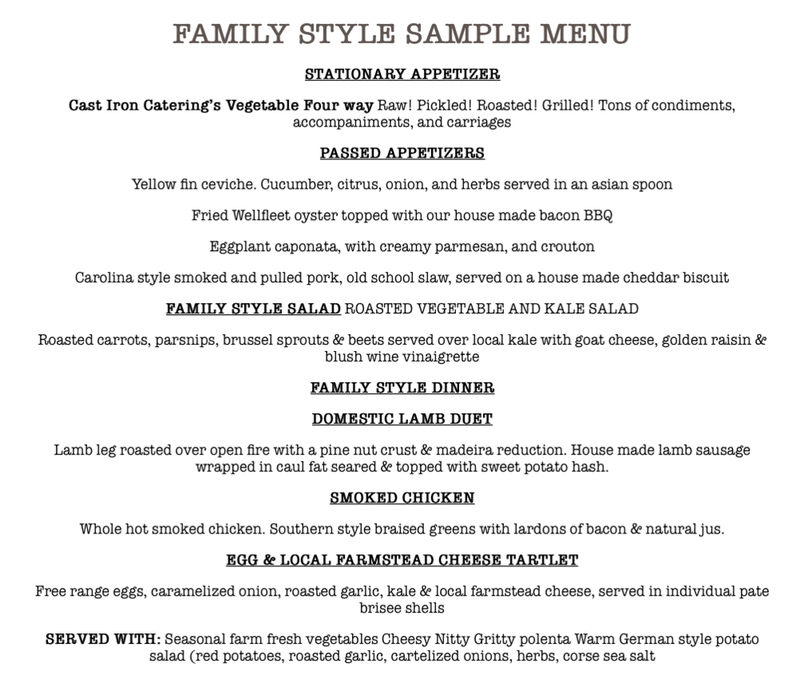 Family Style is our favorite style of service. We love the interaction it creates between guests. Plated is a very traditional service option. 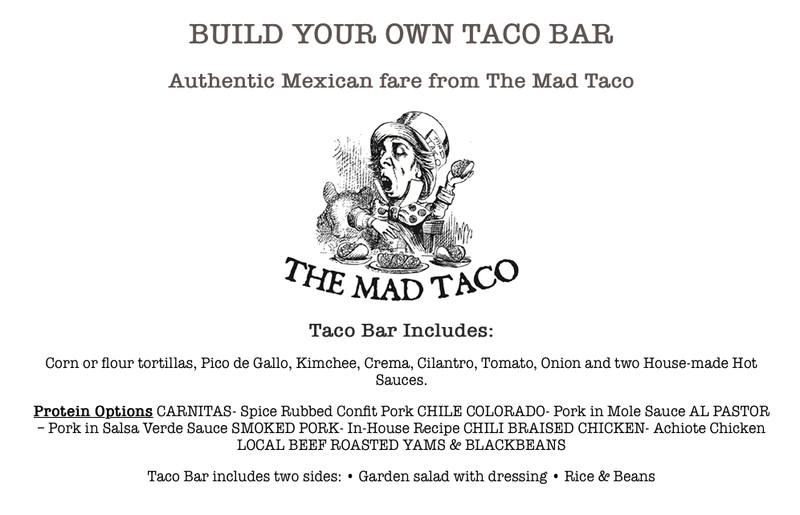 This is a fun and affordable alternative for a more casual event.